MYTH: New Orleans is below sea level. TRUTH: Half of New Orleans is at or well above sea level. MYTH: The vast majority of homeowner losses in New Orleans were uninsured. TRUTH: Pre-Katrina, more New Orleans homeowners had flood insurance per capita than the rest of the nation according to data obtained by Donald Powell with the Bush administration. MYTH: The Orleans Levee Board spent only a few hours annually inspecting the levees before going to lunch. TRUTH: The Army Corps of Engineers spent only a few hours annually inspecting the levee districts’ maintenance before going to lunch. MYTH: The Orleans Levee Board forced the Army Corps of Engineers to build the inadequate levee system that failed during Hurricane Katrina. TRUTH: As reported in the New York Times, experts J. David Rogers and Raymond Seed retracted this erroneous conclusion in their 2006 levee investigation. The levees failed mainly due to a mistake the Army Corps made in the 1980s when interpreting the results of their levee load test study. MYTH: New Orleans has a peculiar geography in that it relies heavily on levees for protection. TRUTH: Fifty-five percent of the U.S. population lives in counties protected by levees. Click on map below to enlarge. MYTH: As Katrina advanced, the residents of New Orleans were warned that the levees could breach. TRUTH: Pre-Katrina, there was no warning that the levees in New Orleans could breach and fail. There was no such warning from federal or state officials nor from hurricane or engineering experts. MYTH: After the storm, the levee boards were “reformed” and made similar to other levee districts in the U.S. TRUTH: New Orleans was the first urban area in the nation to create a regional board with experts. The Greater New Orleans levee system has no peer in the U.S. in terms of complexity, cost and population protected. MYTH: Environmentalists blocked the Army Corps of Engineers’ original plan for massive peripheral barriers and forced the agency to propose a second inferior design. TRUTH: The Army Corps decided that the High Walls Plan, or raising the heights of the levees, was less costly, less damaging to the environment and more acceptable to local interests. MYTH: The local levee districts must be guilty of negligent maintenance because they settled for $20 million. TRUTH: Judge Stanwood’s settlement is not evidence of wrongdoing. It is a strategy on the part of the plaintiffs and the defense. 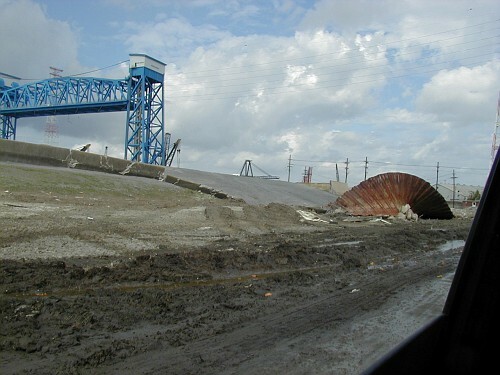 MYTH: The Army Corps of Engineers admitted fault for the failure of its levee system during Hurricane Katrina. 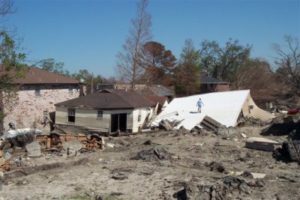 TRUTH: No corps official has accepted responsibility for the failure of the levees in New Orleans during Hurricane Katrina without simultaneously – and also wrongly – directing blame toward local officials and environmental groups.